Here's a perfect example of how loose things were at the start of the rock music album era in the late sixties. It was a time when the major British labels were reefing in the big dollars through acts like The Beatles (Parlophone, part of the EMI Group), The Rolling Stones (Decca) and there was still room for independents and minor labels like Polydor (The Who, Jimi Hendrix, Cream) and Island (Spencer Davis Group, Traffic, Free, Spooky Tooth). There were different arrangements for American distribution, but let's stick with the British side of things for the moment. There were also a number of independents which seemed to be doing quite well for themselves, thank you, including the British Immediate label and the American Elektra, which had, wonder of wonders, scored big time chart action with the Incredible String Band's The Hangman's Beautiful Daughter. Those independents traded, to a large extent, on a hipness quotient that was probably best expressed in the roster of acts on the American Warner Brothers (Randy Newman, Ry Cooder, Little Feat, for example). Those acts mightn't have sold a whole lot of records but boy, were those labels hip! Maybe the search for something similar impelled EMI to create Harvest Records in 1969 as an outlet for progressive music and competition for similar projects started by Philips (Vertigo) and Decca (Deram) along with the Islands, Elektras, Immediates and Warner Brothers. It was a fiercely competitive market, and Elektra managed to get The Hangman's Beautiful Daughter into the UK album charts for 27 weeks, peaking as high as #5, selling over three-quarters of a million copies over the years against fairly hairy competition including The Beatles, Beggars Banquet, Electric Ladyland, In Search of the Lost Chord, The Kinks Are the Village Green Preservation Society, Ogdens' Nut Gone Flake, A Saucerful of Secrets, Traffic and Wheels of Fire. Well, if that could happen, why not put out a couple of albums of traditional folk tunes? Take one of the better traditional singers, back her with her sister's portative organ and the viols, recorders, sackbuts and crumhorns of the Early Music Consort of London. You never know. It might sell. Harvest had acts on the roster that were likely to move large quantities of product (Deep Purple and Pink Floyd for starters) so the cash to pay for what might well be seen as an extravagance or two was probably in the coffers. And you never know. It might sell. 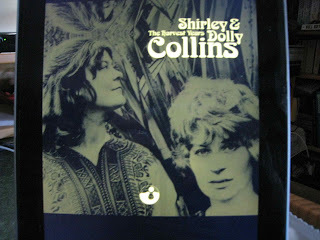 The result was Anthems in Eden by Shirley and Dolly Collins, an album comprising a 28-minute set of songs on the first side and seven individual pieces on the flip side. The version here on The Harvest Years pads out the original tracks with six more recorded in 1976 with a different lineup largely drawn from Ashley Hutchings' Albion Band that were subsequently aligned with the first side's song cycle and released as Amaranth. That 28-minute set is a suite of traditional songs and a traditional tune with new lyrics that tell a basic story illustrating the changes wrought on rural English society and emerging folk traditions by the industrial scale slaughter of the First World War. The song cycle had already been recorded as Anthems Before the Fall for BBC Radio in August 1968, and it’s fairly easy to pick up the plot line from the song titles. It’s not as if young girls watching young men go off to war is an unfamiliar theme, but there’s a twist towards the end of the cycle with a generation of young men were lost, and the memorial stone rather than the maypole as the centrepiece of village life. The rest of the album comprises a handful of songs drawn from the Collins' repertoire, most of them traditional (Rambleaway, Bonny Cuckoo, Nellie The Milkmaid, Gathering Rushes In The Month Of May, The Gower Wassail) along with Robert Burns’ Ca' The Yowes and God Dog, written by the Incredible String Band’s Robin Williamson. Shirley Collins might not be entirely happy with the selection, but you’d have needed something to fill out the other side of the album. That’s not an issue in the era of the compact disk, but the alternative would have been to break the suite in two, which with the vinyl era need to get up and turn the record over wasn’t the optimal solution either. Played as a whole in the digital download era the whole thing runs together seamlessly, with the cornetts, crumhorns, sackbuts,recorders and racketts piping away over the harpsichord and portative organ in arrangements that influenced later efforts by the likes of Fairport Convention and Steeleye Span (who applied the concepts to a more electric folk-rock setting) and lesser lights like Amazing Blondel (whose stage appearances were likely to involve the use of up to forty instruments) and Gryphon. That instrumentation gives a sense of timelessness, the sort of thing that was explored by those who followed, with Richard Thompson’s Henry the Human Fly being, to my ears, a prime example, but there’s the odd bit of electricity on Henry, whereas Anthems in Eden could have been performed at any stage back to the middle ages. You could choose to simply look at the album as as a piece of musical archeology or a nostalgia trip but I’d see it as a defiant rejection of the rock'n'roll era, the march of capitalism, and conflicts on foreign shores from someone who’d collaborated with legendary ethnomusicologist Alan Lomax and studied the traditional forms at length. The entirely traditional 1976 content (Fare The Well My Dearest Dear, C'Est La Fin/ Pou Mon Cuer, Bonny Kate, Adieu To All Judges and Juries, Edi Beo Thu Hevene Quene, Black Joker/Black, White, Yellow & Green) fits well tacked on at the end of proceedings here, though they’ve managed to sneak regular drums (Fairport’s Dave Mattacks), electric bass (Pat Donaldson, Ashley Hutchings) and Simon Nicol’s electric guitar in there as well. 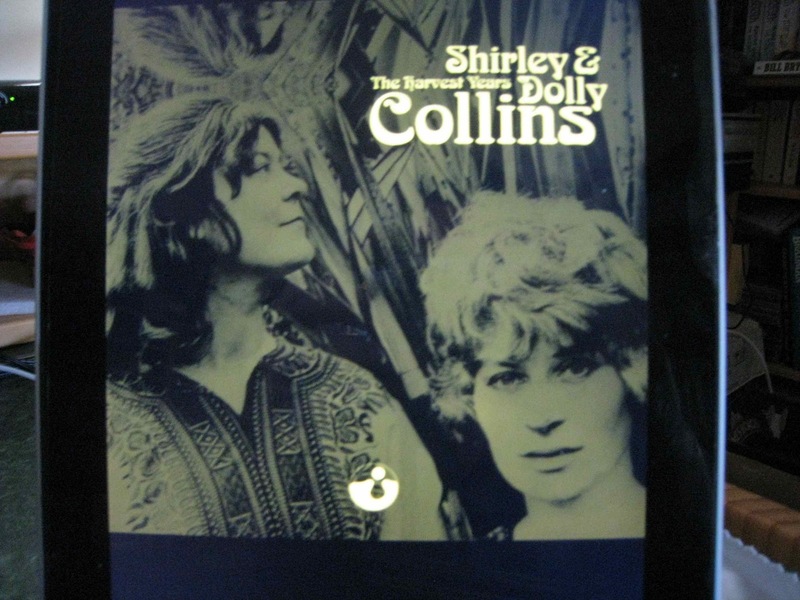 That’s logical, since the second of the Shirley and Dolly Collins Harvest albums, 1970’s Love, Death and the Lady, uses a sparser subset of the instrumentalists who appeared on Anthems in Eden. Playing through The Harvest Years, however, you get the decided impression that someone’s getting a little fast and loose with the sequencing. Put the extra material that was recorded a couple of years later at the end of proceedings, fine, but we’ve got extra tracks recorded at the Love, Death and the Lady sessions that appears before the tracks that comprise the actual album. It’s one of those cases where the digital edition comes up wanting, but the reader, of course, has Hughesy and the consolidation of various on-line sources so who needs digital booklets? Cast your eye over those titles and you can probably guess what’s in store if Love, Death and the Lady hasn’t given it away from the start. Murder, rejected love, parted lovers and betrayal were, after all, meat and drink in the traditional canon. Here we have an apparently motiveless murder in The Oxford Girl (predictably, the lover dunnit, so you’ve got death and betrayal in the one parcel), a serial killer in The Outlandish Knight and parted lovers and a tragic death on a foreign field in Plains of Waterloo. It’s not quite music to slit your wrists by, but it’s not all beer and skittles either and the ancient instruments creak away in the foreground, Collins sounds like the girl from the village down the road and the whole package sounds like it could have come from anywhere in the couple of centuries that preceded the last one. Not, perhaps, everyone’s cup of tea but an interesting listen, particularly when you line it up alongside Fairport Convention’s Liege & Lief and Full House or the early Steeleye Span up to Below the Salt. Those comparisons are quite deliberate. On Liege, Fairport had Sandy Denny, arguably the finest female singer in the English folk-rock sphere, while Steeleye’s Maddy Prior spent much of the seventies carrying traditional material as far as possible towards the middle of the road. Shirley Collins, on the other hand, seems very much like the voice of the people.